Do you have books that you read over and over? Since it came out in the spring of 2012, I have revisited the Art of Fielding maybe four or five times. I've recommended it to many, although I will say I don't know if anybody has ever given it the rave reviews that I have. 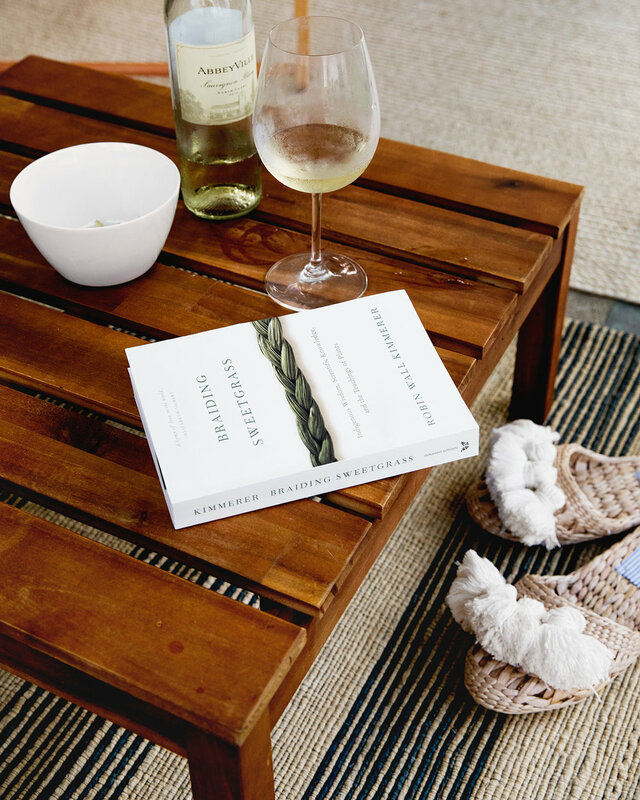 To me, it's the perfect summer read. Technically, it's about baseball, but really it's about relationships. Balancing pathos with triumph, while baseball acts as a backdrop to the heartbreak that is life. This year my list is all new-to-me reads, and it has a little bit of everything- love, mystery, family drama, health and spirituality. I has been a transformational time for me to say the least, and it's very much reflected in the books I'm gravitating towards. As I started diving into reviews and recommendations, I found myself knee deep in categories I wouldn't exactly call beach reads. Overall my choices are undoubtedly weighing in favor of the spiritual and feminist side of things, which is precisely why it's buttressed by a mystery - The House of Unexpected Sisters, and quintessential beach reads - When Life Gives You Lululemons, and the Bucket List. With my own health and wellness at at the forefront of my mind, I remembered that this time last summer I was busy reading and reviewing Beautiful Bodies, a novel that really resonated with me, and almost felt a little too well timed to show up on my radar. I was sent a free copy, just as I was gearing up to leave my role as an e-commerce photographer in fashion. I had spent years trying to wrap my head around how we talk about women's bodies, our own bodies, and model's bodies. I was never comfortable with the casual conversations of "she's too big" when she's a size 2, and "can we push that in" when she looks completely healthy. When all those lines began to blur and bother me, reading that book was cathartic. 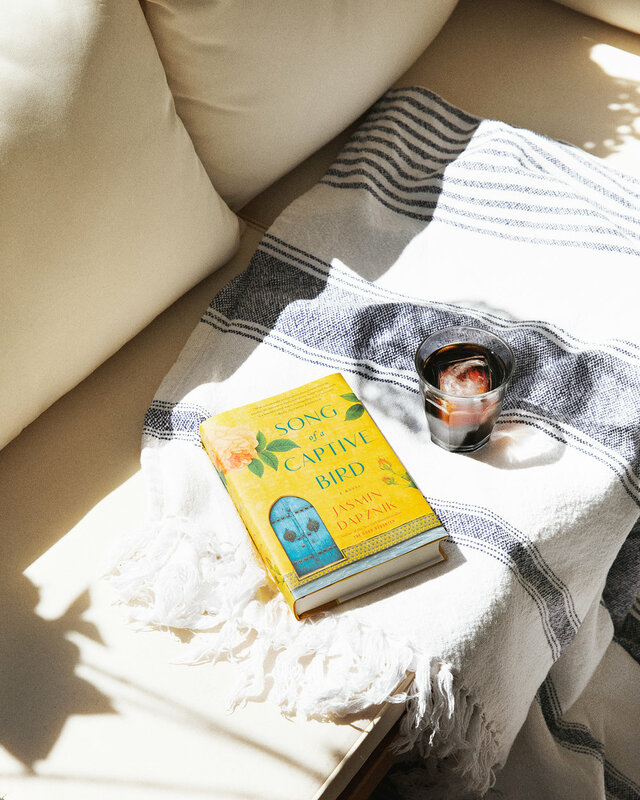 It was also just enough humor, and a whole lot of substance to balance the more lighthearted reads that are often necessary to let us fully escape into the magic that is summertime. I'm not against those easy breezy books we pack for vacation, I just like to balance it out with a bit more backbone. This year, the wellness book I was most excited about was definitely the Archetype Diet. I was hesitant about its usefulness at first, until my friend Tara, who knows the author said it was definitely worth the purchase. I'm so glad I went ahead on her recommendation, because it's such a vastly different kind of health book, and one that I think is a truly useful tool for women, regardless of body positivity or struggle. I was captivated and sped through the chapters that pertained to me, and am excited to go back and read the whole thing. It's enlightening in a way that I haven't seen before, and approaches health and nutrition from a psychological standpoint. Anyone I've recommended taking Dana's online archetype quiz to ends up buying the book within five minutes. Partly because it's fascinating to see your tendencies explained in a more thoughtful, tactile way, and partly because I don't think I've ever met a woman who didn't at some point in her life have a complex relationship with health and nutrition. 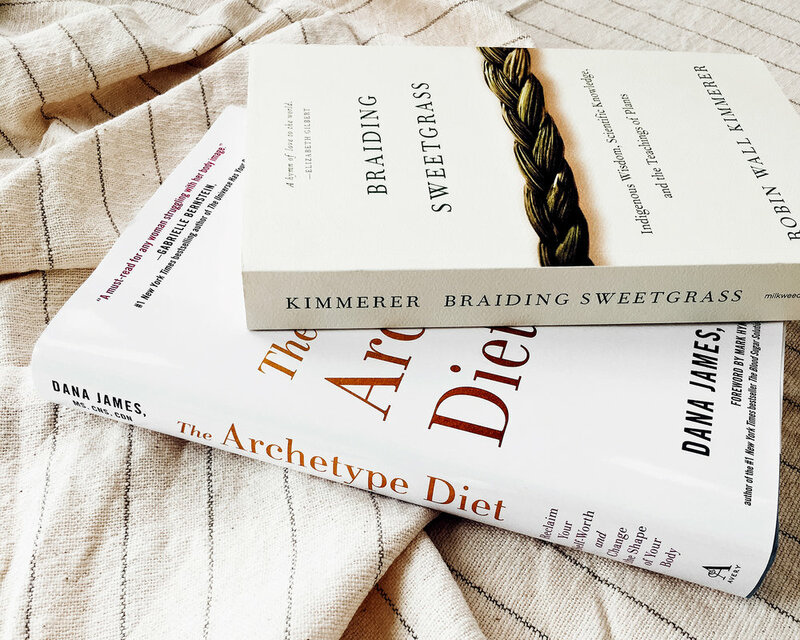 If you're hesitant about the book, do take a moment for the archetype quiz online, or listen to Dana James' interview on the Mind Body Green podcast. Here's to vegging, vacationing, and contemplating with a pile of books this summer.